Foxconn and Mac 9 to 5 are confirming existence of iPhone 5 prototypes, while the latter are even claiming seeing them in person. The sources claim the phone to be the same shape and design except for a bigger screen (vertically or edge to edge we don’t know) which would help it compete with those huge HTC, Motorola and Samsung devices. The phone is also said to have a fully metal back similar to the original iPhone, the type of metal is not confirmed yet but people are speculating it to be liquid metal! Some sources are even claiming the phone to be coming back to it’s curved back roots like the previous revisions. Other rumors say that the one will feature a universal radio which would make it work with both CDMA and GSM connections. 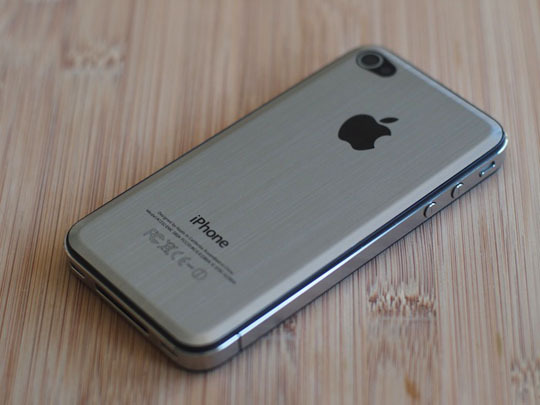 We have one doubt though, the original iPhone metal back was changed to plastic and then later to glass because of weak signal issues so Apple should better have something planned if they are gonna come back to metal for the iPhone 5.